As Heard On ESPN Radio . 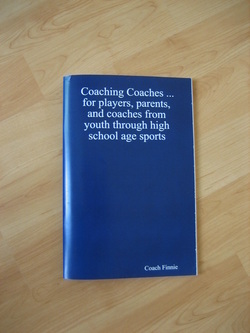 . .
Get the sports coaching book everyone is talking about! Written for players, parents and coaches from youth through high school age sports. Make the sports life better for all this season. Players learn, parents learn and, most importantly, coaches learn. 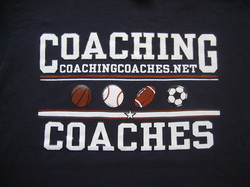 Coaches of any sport or activity for ages 5-18. Learn the best ways to communicate. Get real life examples of how to coach and how not to coach. Good for the young and the experienced. Improve your sports life now. Don't wait. Get great quotes from John Wooden, Lou Holtz, Knute Rockne, Cal Ripken, Henry Ford, Michael J. Fox, John F. Kennedy, Coach Finnie and more! Great for your recreational, select, club, travel, or school teams! Excellent ideas for leading any activity involving youth ages 5-18. You will be telling others about the book instead of yelling on the court, from the bench or in the stands. 60 pages in 60 minutes. But good for life.